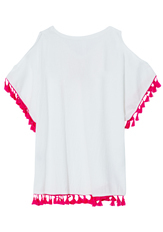 Throw this cover on up over any swim suit and she'll be comfy and stylish at the pool & the beach! 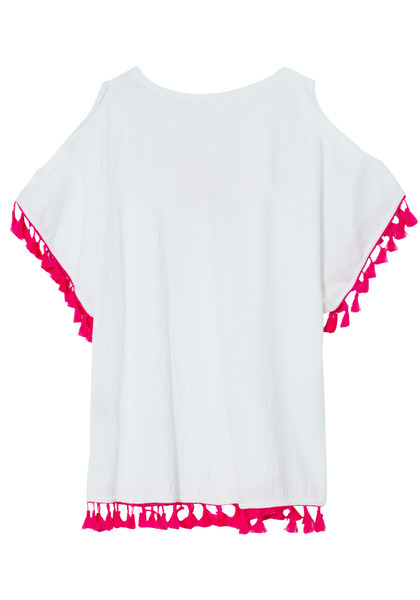 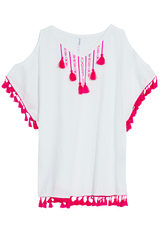 Featuring a crinkle knit fabric, tassel trim and open shoulder silhouette. 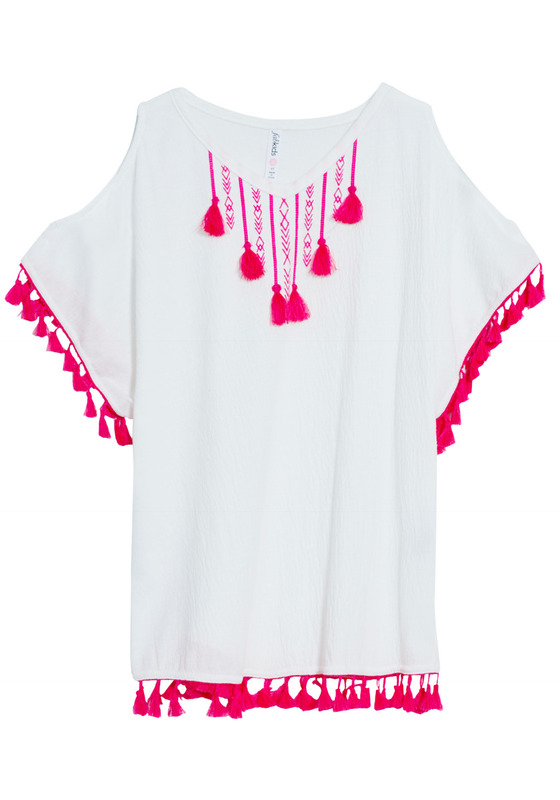 Cute and it wears great!